Our client, Mr O, received a significant six figure settlement after he sustained serious leg fractures and major ligament damage to both legs. The injuries were caused by an articulated lorry which rolled out of control down a hill, the lorry crashed into a parked car behind which Mr O was standing, unfortunately the weight of the lorry pushed the car onto Mr O, crushing him against a wall. Mr O is a professional organ player and pianist and plays for the English National Opera, the Royal Opera House, and the BBC, among many others. At the time of the accident he had been standing between a parked car and a wall, on a narrow road in the village of Weedon, in Buckinghamshire. An HGV lorry was manoeuvring in the village, and had become stuck in the narrow roads. The driver of the HGV left the cab of the vehicle but forgot to leave on the handbrake. The lorry rolled down a hill colliding with a parked car. Mr O was unfortunately standing behind the parked car, thinking it would protect him from the lorry, and he was pinned between the parked car and the wall. Mr O remained pinned for several minutes before passers by were able to manually push the car back. Mr O sustained a right tibial shaft fracture with severe soft tissue damage which was initially plated. However an infection developed due to the severity of the soft tissue injury and he had to have an external metal frame fitted. Mr O had a deformity of his tibia as a result, causing it to be shortened. The metal frame was used to manipulate the fracture (in effect re-breaking the fracture to extend the bone gradually) to restore the length. This took 17 months and caused Mr O acute pain. He suffered with repeated infections. After extensive rehabilitation Mr O’s right leg remained 1cm shorter than prior to the accident. Mr O also sustained severe multi-ligament injuries to his left knee as well as a dislocation of his patella. He required an examination under anaesthetic and a split skin graft for this. He was left with a permanent instability of the knee joint and was informed he would require a total left knee replacement in the future. Mr O suffered with very serious injuries after the accident, and he was unable to work for an extended period of time, needing considerable care from family and friends. James Cahan, specialist personal injury lawyer, was instructed by Mr O to consider his claim for damages. Liability was admitted, and as a result, during the claim James Cahan was able to obtain interim payments totalling over £100,000 to cover his living costs and the cost of private treatment, to maximise Mr O’s chances of returning to full time employment, before the legal case was completed. After obtaining medical evidence from a number of medical specialities, James was able to successfully obtain an out-of-court settlement of the claim, for a significant six figure sum, to compensate Mr O for his pain and suffering, to pay is past and future lost income as well as his future treatment and care needs. 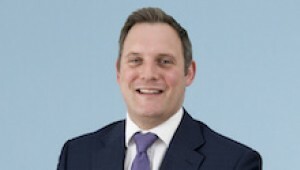 James specialises in catastrophic road traffic accident cases. If you would like to ask James a question about a potential case, or if you have a general query about any personal injury, contact James at Thomson Snell & Passmore LLP solicitors on 01892 701289 in confidence.